Nitin Gadkari said that his ministry has sanctioned Rs 1,00,000 crore for irrigation projects in Maharashtra's draught prone areas. Infrastructure is very important for our country, said Nitin Gadkari. Mumbai: Union minister Nitin Gadkari today said forthcoming budget will see priorities in agri and infrastucture investment as country targets to achieve double digit growth in due course. "After demonetisation and GST, the situation is really changing. Our direct tax collection for this year has gone up by 18 per cent compared to last year, and the government borrowings have come down by Rs 30,000 crore as anticipated, keeping out fiscal deficit under control,"
Gadkari said at an event 'Countdown to Union Budget' here. "The growth figure for last quarter has again gone up over 7 per cent and our target is double digit, which may take some time. But the way in which the economy is moving I am confident that in due course of time, we will achieve this," he added. forthcoming budget, Gadkari added. "Our economy is the fastest growing in the world and the credibility has increased. Global investors and stakeholders have tremendous expectations and confidence on our country," he said. The minister said that the government's ambitious infrastructure projects of roads, shipping, ports and inland waterways will be completed with investment of Rs 8 lakh crore by March 2018. "Infrastructure is very important for our country and we need world-class water, power, transportation and communication infrastructure. The Cabinet has already cleared projects of Rs 7.5 lakh crore under Bharatmala projects and by end of March 2018, we will complete investment of Rs 8 lakh crore in infrastructure and many of which is from private sector," Gadkari said. We have increased annual budget for road project from Rs 40,000 crore to Rs 1,30,000 crore annually this year and targeting Rs 1,50,000 crore next year. The road construction would further gather momentum with average addition of 28 km per day by March this year and 40 km per day by next year, he added. Gadkari said his ministry has sanctioned Rs 1,00,000 crore for irrigation projects in Maharashtra's draught prone areas. 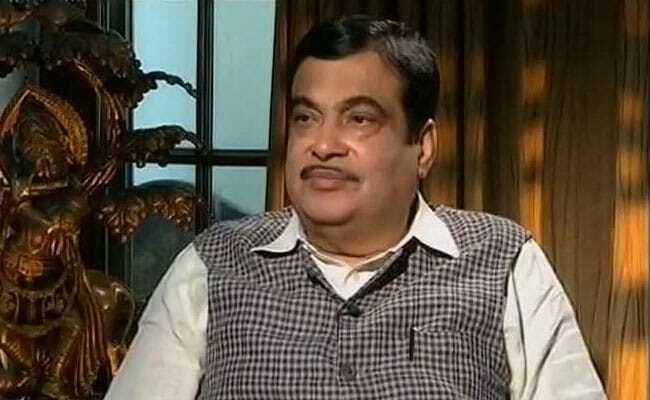 Urging the state governments to adopt new modes of transport like waterways, Gadkari said that 10,000 seaplanes would be brought into operation in the country over the next two years. He also warned that in the next three months rules and regulations should be put in place for operating seaplanes in the country. Stating that the use of petrol, diesel, ethanol and methanol should be brought down, the minister announced that the Delhi-Mumbai highway would be converted into an "electric route" and the task of preparing a detailed project report (DPR) has been given to the department concerned.